When you consider the inspiring nature of music, the way in which it can lift our moods or motivate us to look forwards – it’s quite the phenomenon in itself. When you combine that, however, with a songwriting core that intends specifically to inspire, to drive positivity and possibility into the minds and hearts of all who listen, and it’s done so in a way that completely surprises and captivates; you’re in for something truly special. 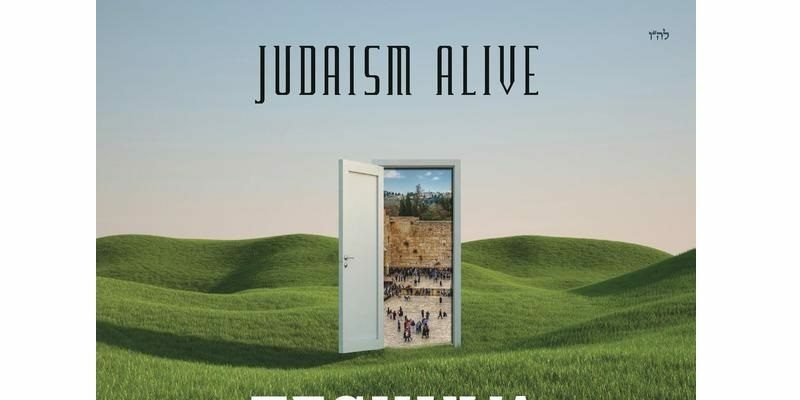 Teshuva: The Return is a collection of songs that offer exactly this. Beginning with the introduction, the explanation; the ambiance of the project is set at a fairly mellow, dream-like level – the potential for a meditative mood or accompaniment for deep thought seems likely. However, the very second that The Power Is in My Own Hand (feat. Ami Kozak) begins to play, all speculation is thrown to the ground. What emerges here is an uplifting, energetic, notably organic piece of music and writing, not so far removed from folk-rock – the high energy of an acoustic guitar rhythm, the melody and modern-day poetry of the leading vocal, the passion, the performances; this song has it all. The hook is infectious, the switch from the mellow verse to the full-throttle chorus is stunning. The raw energy sets an entirely different scene, yet still feeds into that inspiring ambiance with flawless accuracy. As the project progresses, the variation is immense. This underlying label of world music is perhaps the only real way to categorize the changing musicality. From the Depths (feat. Elan Atias) is a soulful and deeply emotional song that clutches at your core and holds the potential to incite the most overwhelming feeling of wow. The dramatic manner in which the music stops and starts, the sheer hit of the beat, the intensity of the strings and the vocal performance, even the unfamiliar (for some) language – all makes for a compelling experience. Love and War (feat. Gary Bogosian) is a synth heavy, EDM-driven track, featuring a smooth, pop-inspired vocal that carries the melody well. The concept of improving the lives of others is a vast and complex idea to take on, but part of it has to be in reaching out to any and every one – considering all people, all audiences, and therefore all genres of music. This collection gathers together a wide range of musical influences and presents each by means of inspiring and hopeful songwriting. I Believe (feat. Avi Heyman, Daniel Heyman & Joel Halpern) is perhaps one of the project’s softer, more intimate offerings; the ambiance of which gradually grows and provokes a deep consideration of what it means to believe. The instrumentation invites the listener on a journey, and the leading vocal reminds them of their humanity. Of Compassion (feat. Shlomo Katz) furthers the opening softness yet continues with this musical theme of slowly building, climbing out of the quiet and into the realm of positive energy and optimism – of overcoming, of helping one another, or whatever the music may feel like it means; to each his own experience. There’s a further touch of Pop with The Fighter (feat. Noe Jacobson), this thread throughout the compositions still that carries you from the lows to the highs with absolute grace and majesty. Half Way Return (feat. Mark Goldenberg) is something brand new again. This classical-folk inspired, softly theatrical, deeply human performance offers a moment of calm and unique personality in amidst the almighty volume of the surrounding songs. The piano playing is masterfully hypnotic. Throughout Awaken (feat. Dovi Block) and In a Fast Time (feat. Moshe Storch) the upbeat energy of summer dance anthems meets with the organic and infectious sound of a somewhat European style of folk or gypsy-rock. The latter song has a fantastic hook and a superb leading riff. There’s a slight return to the drama and storytelling with There He Goes…again (feat. Zack Shrier), a well placed offering, reinforcing how effective it can be to fully consider album arrangement. The Lost Princess (feat. Yonasan Arich & Jordan Feinstein) masters the story-telling intensely. It comes through as a long lost sound-track to some well known film, perhaps documenting an epic tale of adventure. Close to My Soul (feat. Eli Schwebel) follows and makes for a beautiful and deeply reflective moment of songwriting and performance. The reflective nature of so many of this album’s lyrics is something that is likely to connect on a profound level with many listeners. The sheer musical variety on top of this means that to listen in full is an incredibly memorable and striking experience. Master of the Universe (feat. Nati Baram) bursts into life an reminds you of these shared qualities. At the penultimate moment, the raw and even country-like energy of Victory (feat. Dael Geft) presents an emotionally gripping and beautifully crafted bit of song writing, as well as a gorgeously appealing leading voice. Then to bring things to a close, the supremely dream-like yet manically upbeat Outro: Happiness (feat. Matisyahu Andre) explodes into action, and reminds you for one final time that there are good things ahead; there are chances to be taken, there is always something beautiful to work towards. Whatever you may be expecting when embarking upon this album, you’re likely to be blown away by the magnitude of its beauty and strength. Let the music do its job – press play and listen, let it affect you; enjoy the experience and hopefully you’ll get something wonderful to take away from it. Download the album via iTunes. Find & follow Rabbi Shlomo Einhorn on Twitter. Visit his Website for more music & information.